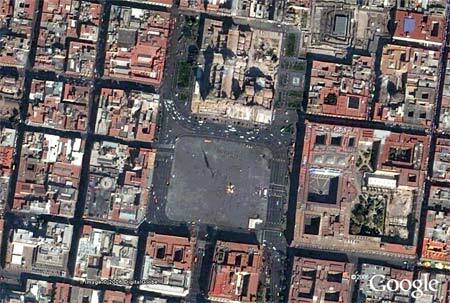 10/24/2006 – Imagine: a simultaneous exhibition with 14,000 participants – possibly the only chess event that is visible from space. 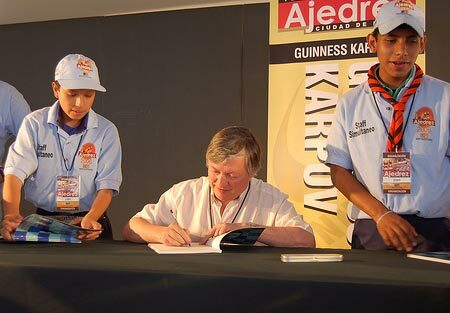 The signing of almost 2000 books in one go by the 12th world champion Anatoly Karpov. 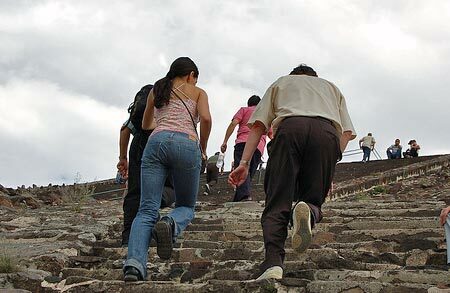 A rapid chess tournament, and then the scaling of the Teotihuacán pyramid. 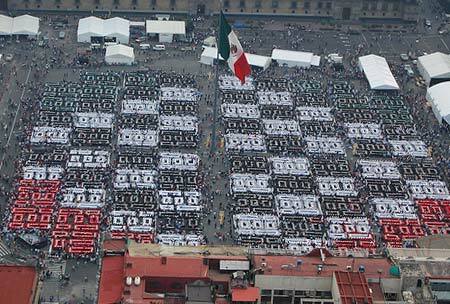 Mexico sets new records in chess. 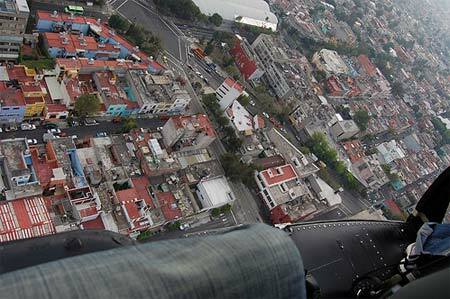 Mexico City is beyond anything you have ever seen. It is difficult to describe. The megalopolis is sprawled out in an ancient ocean bed that is now 2200 meters above sea level, and is inhabited by an urban population of 20 million (twenty million). 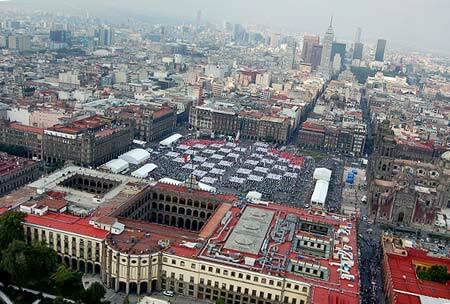 A monstrous behemoth, filled with chaotic traffic, smog, criminality, but also history and culture. 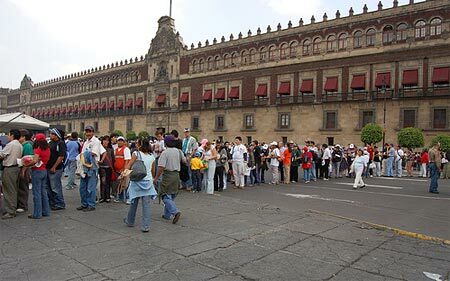 One has to go to Mexico City if one gets the chance. 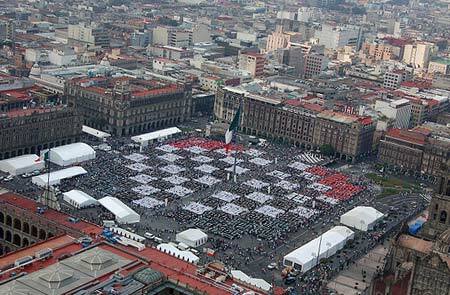 And especially if it is to attend the "Festival de Ajedrez Ciudad de Mexico 2006“. 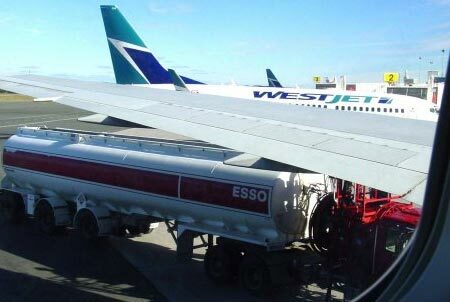 Getting there was no easy task, especially when the pilot of our Delta flight to New York announced over the Atlantic that we were losing cabin pressure and would land in St John to pick up oxygen. That's a new one for me. 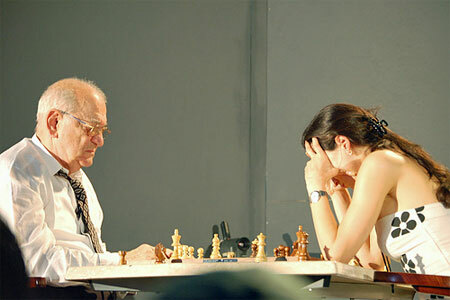 At least St John has chess memories: it was here that the 1988 Candidates was held, and the world championship in blitz, which was won by the legendary Mikhail Tal. After the detour and three hours refurbishing the machine I naturally missed my connecting flight to Mexico City. 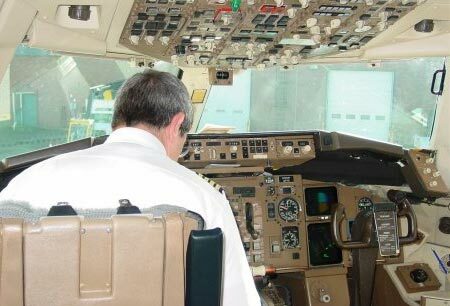 I'm forced to take a late flight and arrive at six a.m. at my destination. Travel time so far: 30 hours. The guest of honour at this giant chess event is Anatoly Karpov, who kicks things off with a press conference and a simultaneous exhibition at the University, which is 40 minutes distant by car. The university campus is a city in its own right, and home, we are told, for 200,000 students. 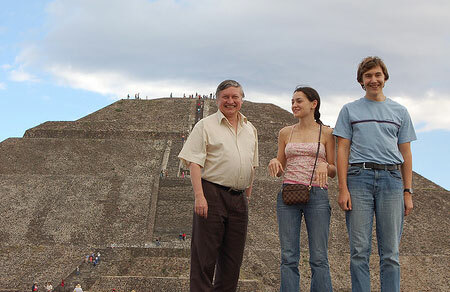 Karpov says he is glad that his compatriot Vladimir Kramnik won the world championship title in Elista, and says that he is definitely in favour of finding the world world champion in future in match play only. 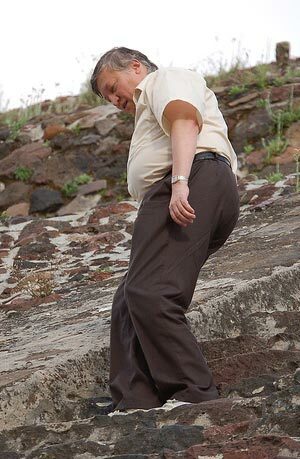 The knockout tournaments of FIDE must disappear – apparently the FIDE president has realised that we must return to the classical system. 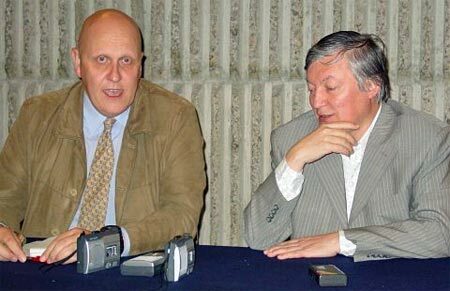 After the press conference Karpov plays a simul against 25 students, with a normal +21 =4 result. 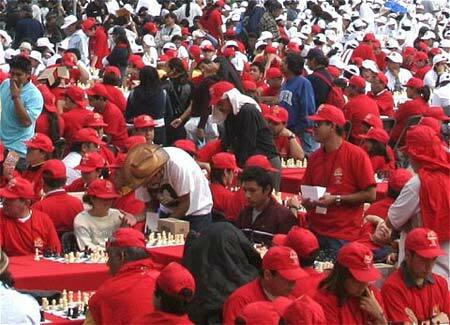 The event is well attended and billed as a warmup for the record attempt on Sunday. 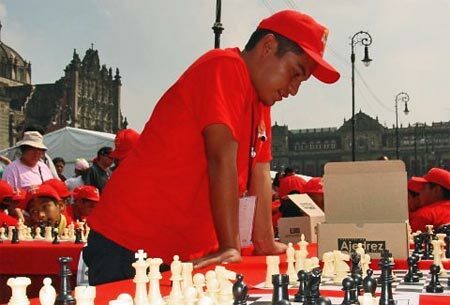 The big chess event takes place on Sunday, on El Zócalo, the giant square in the middle of the city. 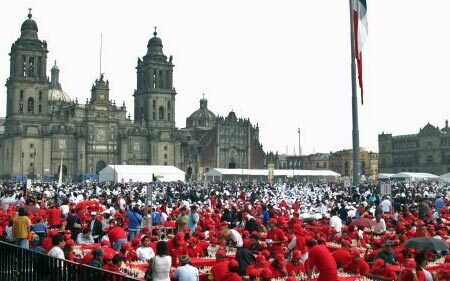 14,000 participants are expected, and they will break the world record for the most chess games played in simultaneous exhibitions in the same place. The tables and chairs had been set up in the night before the event. 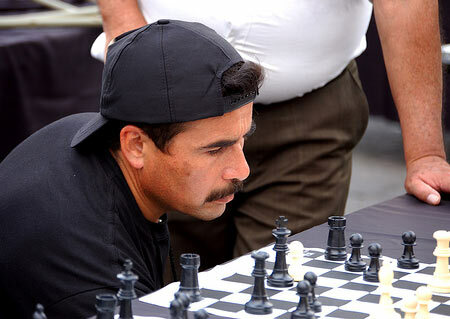 From 9 a.m. on Sunday the giant square started to fill up with chess players. 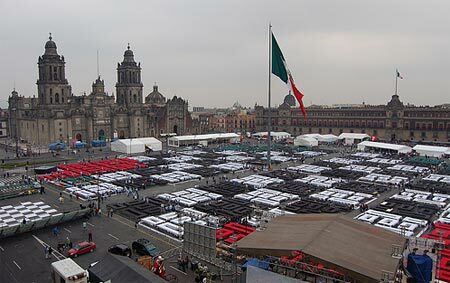 The area was divided into big colour-coded squares, with tables, T-shirts and caps marking them off in the colours black, white, red and green. The record to break was 13,500. 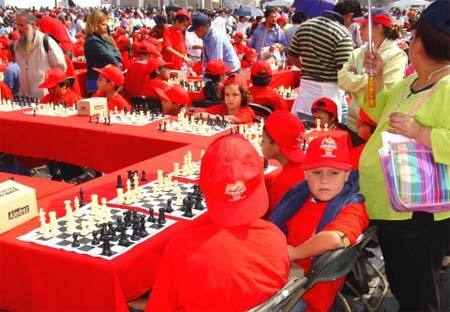 That is the number of players who had appeared in Santa Maria in Cuba, in the spring of 2005. 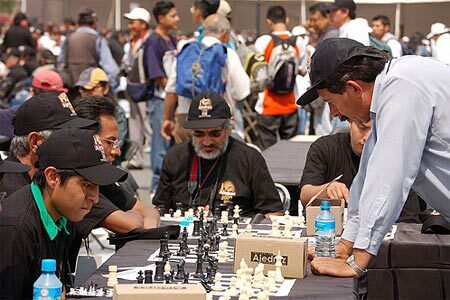 There around 600 simultaneous masters with 20 to 25 opponents each had set the record. 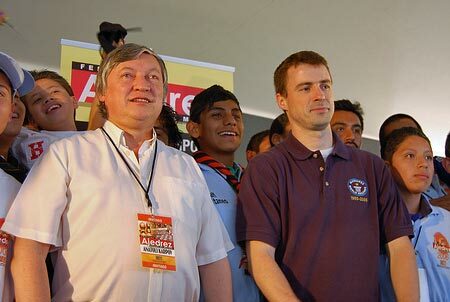 Anatoly Karpov was the patron of that event as well. 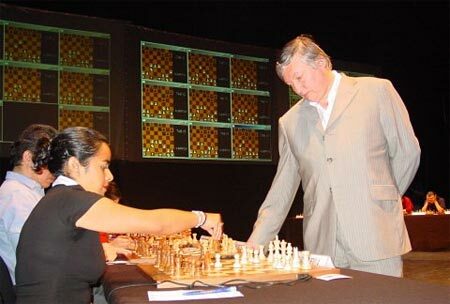 During the Mexican event Anatoly set his own record, which consisted in signing the most autographs during a chess event. 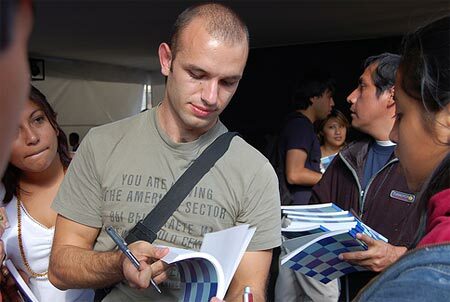 The goal was 2000, and he was signing a biography by David Llada. Karpov signed 1951 copies of the book "Karpov, el camino de una voluntad" (written by David Llada), getting the record of "most books autographed by a celebrity". The previous holder of this record was Bill Cullen, who in April 2005 signed 1848 copies of his book "Golden Apples". 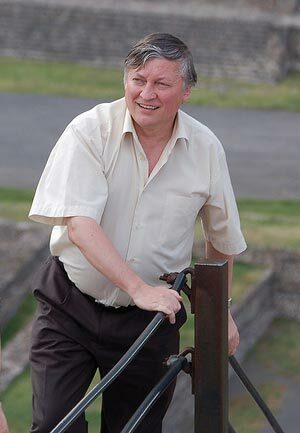 Karpov stopped when he reached the number of 1951, because he was already very tired and his hand was in pain, but also because 1951 was the year in which he was born. 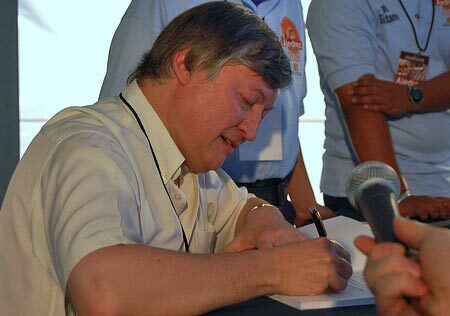 "Signing books for six hours is more tiring than playing a long chess game," Karpov said, "because I had to be seated all the time. 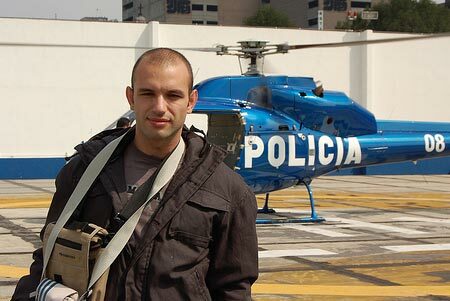 I couldn't walk around or relax at all." 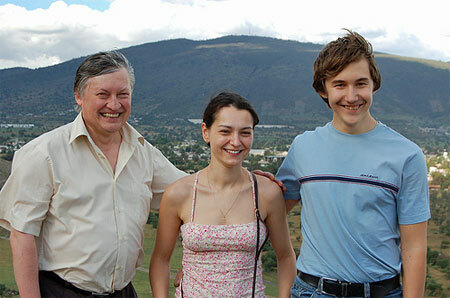 While Karpov was signing books his great opponent from three world championship finals, Viktor Korchnoi, was slugging it out in a rapid chess tournament with Sergey Karjakin, Alexandra Kosteniuk and Gilbert Hernandez. Karjakin, 16 years old and rated 2672, won the event with 4/6 and a round to spare. 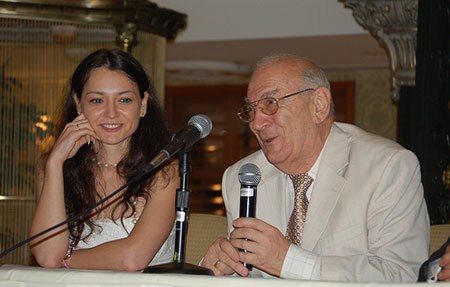 Viktor Korchnoi, 75 and rated 2607, tied with Alexandra Kosteniuk, who at 2534 is the third-highest rated female player in the world. Both finished with 3/6. 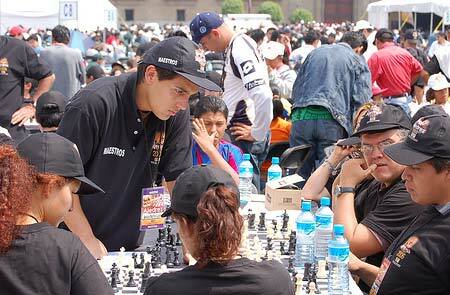 The Mexican GM Hernandez scored 2/6, but had the pleasure of defeating Karjakin in the final game.